1. 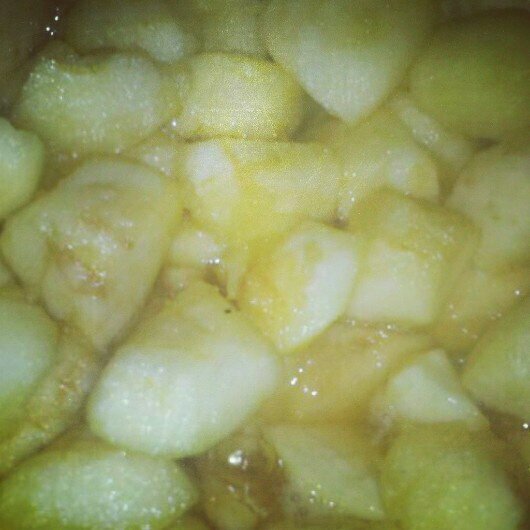 Peel and dice apples and cook with the lemon juice, 2 tbsp sugar and cinnamon till they become soft. 2. Rub butter into flour to form breadcrumbs. Add the sugar and oats. 3. 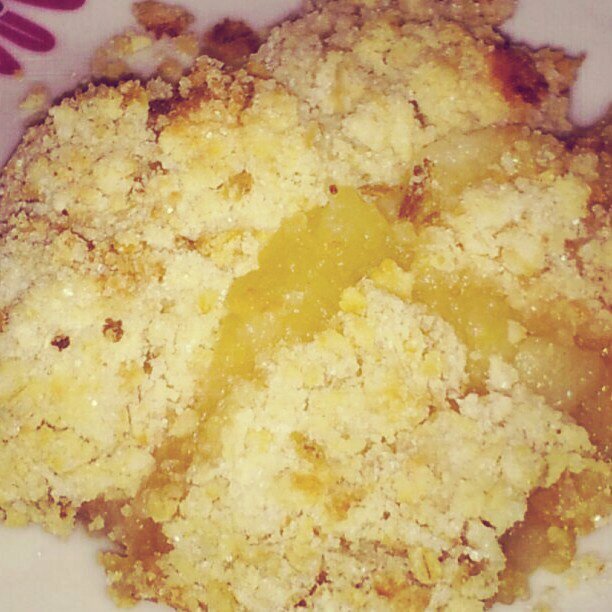 Place apples in a baking dish and sprinkle crumble topping on top. 4. Bake in a preheated oven for 30-40mins at 180°C. Serve warm with custard or cream.